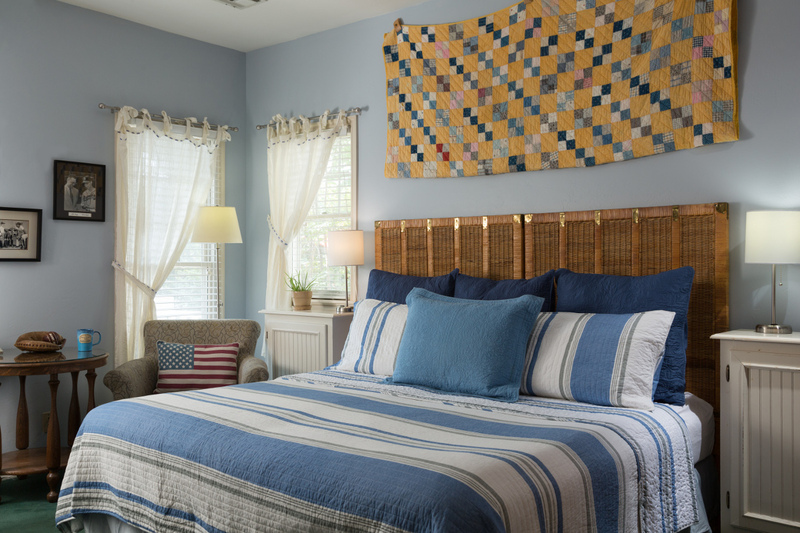 Legends of the Game has a relaxing and cozy atmosphere with snuggly quilts and plush bedding. The design is a tip-of-the-hat to America’s past time, yet it doesn’t feel like a “sports” room. You can enjoy this room with a king-size bed or two twins, your choice! The room also includes a private bath and shower. This room is located on the 1st floor of the Montford Inn. 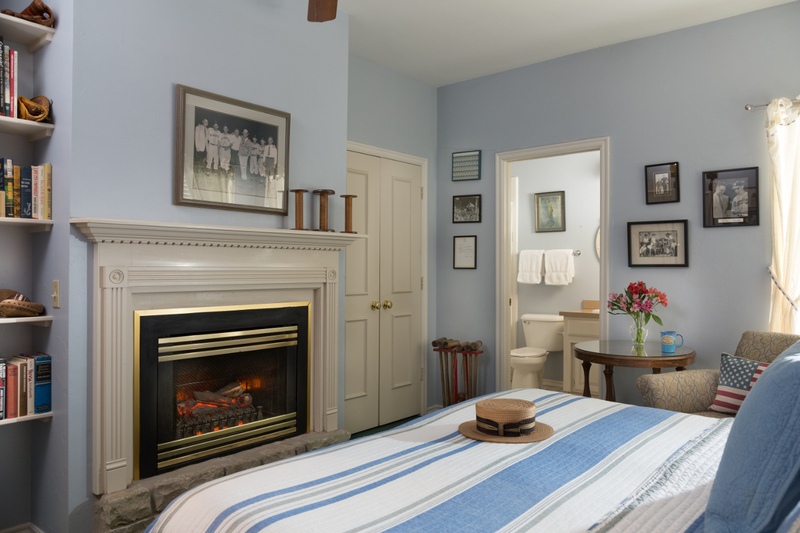 The fireplace and the authentic photographs from the innkeepers’ private collection add just the right touches to this room.